All performances at 7:30 PM, EXCEPT for an additional special *2:00 pm performance on 4/27. This production uses a fog machine, strobe lighting, and has loud gunshots. Join us for our opening night party, immediately following the performance. 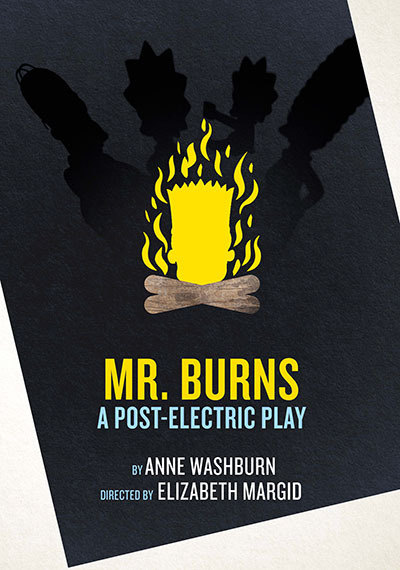 We invite you to join Associate Professor of English, Shonni Enelow, the director, Professor Elizabeth Margid, the cast, and members of the design team on Thursday, 4/25 for a post-show discussion about the many themes that inhabit Mr. Burns.